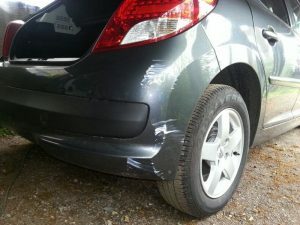 Scratches are one of the most typical problems when caring for and maintaining a car. A corner, a column or a funny one that decided to scratch the car can ruin your precious new model. Until today. Micro scratches: damage caused by not washing and drying the car in conditions. They are very light, and it is difficult that you can even get to appreciate them from afar. Mild scratches: those that have only reached the transparent layer or the color layer. You will merely understand them because they are the typical scratches in which you do not get to see the steel or any other color than the paint, and that is caused by the keys, branches or any other element of this type. 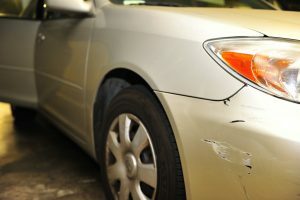 Severe scratches: they are the longest scratches and are identified because you can see another color or the steel of the car. They are the ones seen from afar, and it costs a world to repair from home, although it is not impossible. Touch-up brush: to disguise the scratch and repaint the area. You must choose the right one for the color of your car, which you can see in the instruction manual or on the door cross member. Lija: to sand the area and be able to remove scratches. They usually come with a pad for sandpaper. Otherwise, you must buy it. Polishing: to prepare the area of scratches for polishing. Polishing machine: to polish scratches. Wax: to wax and shine the car. Even if you only see a scratch, you probably have more than one and want to repair them all at once. Locate them and establish their severity by analyzing if they have reached the car’s steel or a different color than the paint. Trying to repair the scratches with the dirty vehicle will only cause you to make more scratches. Thoroughly clean the car with soap and water and, above all, focus 100% clean the areas where there are scratches. Take the retouching brush and apply it on the scratches very gently and carefully. Then, let it dry for 15 minutes. Wrap the sandpaper around the pad and sand all the scratches located in step 1. 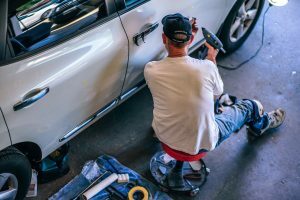 You have to sand in the direction of the scratch and go pouring water every 4 or 5 passes to see if you have managed to get to the end of it because neither it is necessary to pass sanding because you could scratch the car. For light scratches, it is recommended to use finer sandpaper of about 1,500 grains, while for the deepest it is recommended to use sandpaper of 2,000 grains.